This project was a great way to maximise the unused space within the side return, in order to improve the overall layout of the home - a perfect example of what can be achieved when you get passionate and knowledgeable professionals on board! 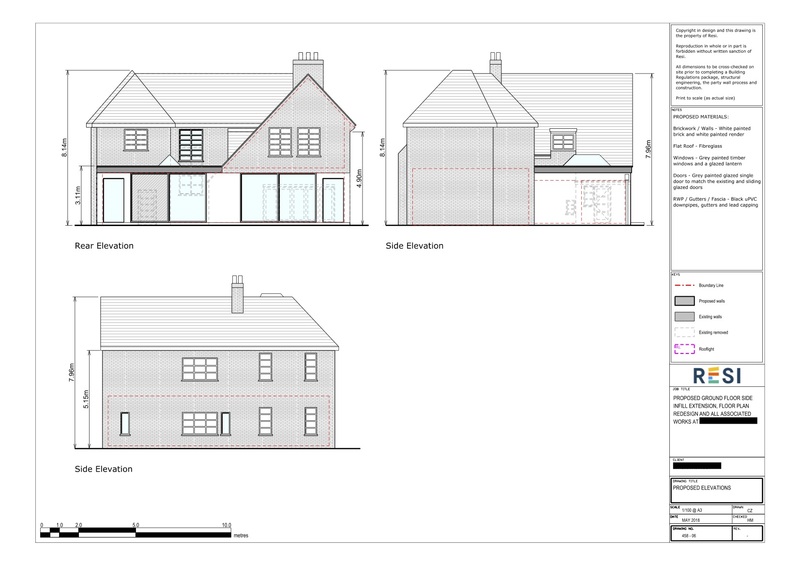 This project was carried out under householder planning permission, which was granted on 19th July 2018. 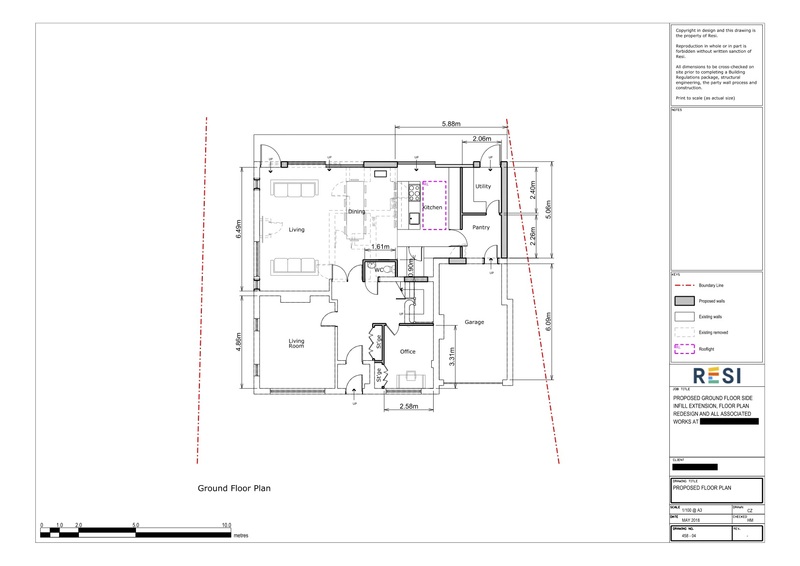 Our client was looking to build a side infill extension in order to accommodate a new kitchen, utility room and pantry, and through internal modifications reposition the WC and create an office space. They stated that they preferred an open plan design, with a contemporary style. Using the new space I was able to create a very open plan kitchen, dining, and living area towards the rear of the house. To this room I added grey painted timber windows, and a glazed lantern roof. The glazed doors looking out onto the garden were also painted grey to be in keeping with the existing external design. Next to the kitchen stood a utility room and pantry. Through internal alterations to the home I was able to design an office space, perfect for burning the midnight oil.